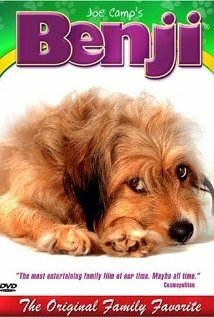 Do you love the Benji movies? Do you have a dog that has the Benji look? A new Benji movie is going to be made and there is a casting call out to find the next dog to play Benji! If you think that your dog has that look or acting quality then you can enter your pet as a candidate. Simply upload a photo of your dog to the Benji the Movie facebook page – only one dog per photo, no people! Submissions to the Benji Casting Call should include your name (first name, last initial), the dog’s name, and the dog’s location (city, state, country). Each submission should feature one dog. While multiple submissions are permissible, multiple submissions of the same dog may be removed. Submissions deemed inappropriate will be removed, and offenders will be blocked from the Benji the Movie Facebook page. By posting a photo to the Benji Casting Call, you grant Walden Media permission to publish your photo on the Benji the Movie Facebook page, and any other Walden Media property. You acknowledge that you are the owner of the photo, or that you have obtained proper consent from the owner. You must be 13 years or older to submit a photo to the Benji Casting Call. Adherence to these guidelines is each entrant’s responsibility, and is a condition to the submission of photos. While all submissions will be reviewed, there is no guarantee that the next Benji will be selected from the Casting Call. Walden Media does not encourage or support the submission of any comments, information, photos, videos, links or other content (Third Party Content) to the Benji the Movie Facebook page which infringes the rights of any third party, violates any law or other legal authority, is false and/or misleading in any manner or which fails to comply with Facebook’s Terms and Conditions. Facebook’s Terms and Conditions. By viewing the Benji the Movie Facebook page, you acknowledge that any content uploaded by anyone other than Walden Media is the creation/views/responsibility of the submitter, and not Walden Media. Notwithstanding, Walden Media reserves the right, but assumes no obligation, to remove any Third Party Content in its sole discretion. Submission of any Third Party Content grants Walden Media and its agents an unlimited, worldwide, perpetual, license and right to publish, use, publicly perform such content, or any idea contained therein, or any portion thereof, in any way, in any and all media now known or hereinafter developed, without territorial time or other limitation, for commercial, advertising/promotional or any other purposes, without consideration to the submitter.Walden Media reserves the right to adopt additional terms or rules and to change or modify these terms or rules at any time.